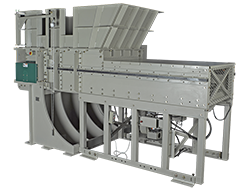 Republic Machine continues to work with plastic manufacturing and plastic recycling companies to find solutions to the ever-changing needs in this market. Our customers come from every part of the plastics industry including injection molding, blow molding, blown finish, extrusion blow molding, pipe and profile extrusion, cast film extrusion, toll plastics recycling, and packaging. 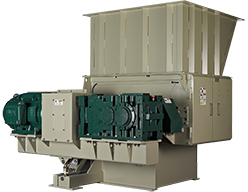 Small Part/Purging Shredder – Republic Machine’s new RM 25/20 ramless shredder for reducing small purge and parts to a 2″ nominal size (low throughput demands). 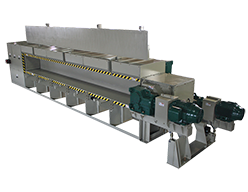 Republic works with manufacturers of decking material, molding, trim, windows, doors, fencing, and other wood milling plants to find solutions for their reducing their wood product waste and preparing it for reuse or recycling.